What is your mission as a holistic massage therapist? 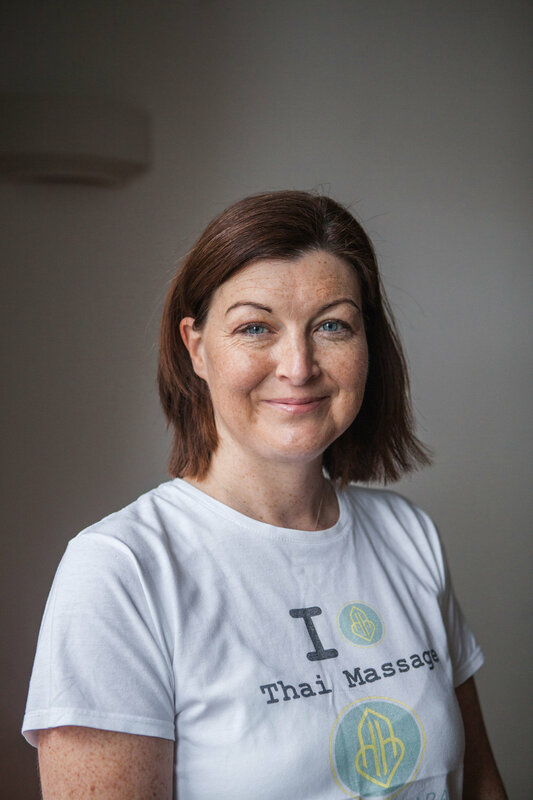 My aim is to work with my clients so they feel ‘better’ following a massage than they did before, whether that is to ease aching backs or stiff shoulders, or, to lower stress levels, or, improve posture or sleep quality. I offer therapies that I feel passionate about and so my mission is simply to introduce and hopefully instil in others a love for traditional Eastern styles of massage. What can people expect from a therapy session with you? To have the massage tailored to their individual needs. My consultation aims to find out a little about you and what you want to get from your session so I can adapt my approach accordingly. As I don’t follow a set routine, no two massages are the same so regular clients can expect a surprise move or two! The types of massage I offer work with our body’s natural energies. I offer Thai Yoga and Thai Foot Massage, Well Mother massage for pregnancy and postnatal massage which incorporates Thai, Shiatsu and Swedish techniques, and, onsite seated acupressure which is based on Zen Shiatsu. These massage therapies release tension from the body and relax the mind so clients may feel a little spaced out immediately afterwards and then feel calm and relaxed, able to think more clearly, and, following Thai Yoga Massage - stretched and in balance. What does your self care routine look like at the moment? I aim to do yoga and receive massage, and get outside and walk in the fresh air, as often as I can. I do a short meditation and energy balancing stretches before I give massage. I do exercises to keep my hands supple. I also hugely benefit from teaching massage, it’s a great reminder to ‘practice what you preach’ and of why I love what I do! Give it a go! What’s the worst that can happen? The Box of Delights by John Masefield. I watched the BBC dramatisation in the 80s and fell in love with it. It captures childhood fascination and wonder with the joy of daring adventures, Christmas and snow! As an adult I love revisiting this in my mind. I like to travel as often as I can and love being by the sea. I read and generally like being silly with my kids. I don’t think i’ve truly grown up yet! Lesley works from Studio 70 on Fridays. If you would like to contact her to book find her here.